Fast-forward to the present: Fusaro is lavishing affection on the most recent addition to her family, a sweet-natured 17-year-old dog named Sunny. Sunny rewired Fusaro’s view of older dogs so completely that she decided to launch a photography project called “Silver Hearts” to show how much senior pets have to offer. “My hope is to inspire people to not overlook the old ones,” Fusaro said. 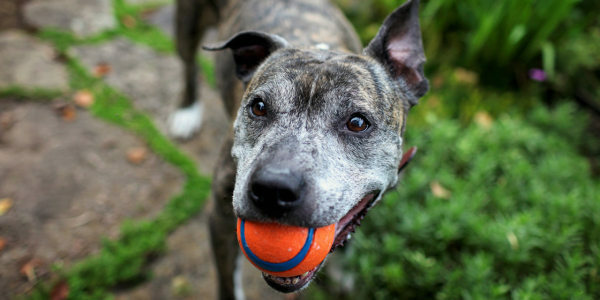 While doing volunteer photography work to help animals get adopted from jam-packed shelters in L.A., Fusaro grew increasingly alarmed by how many senior dogs were languishing because no one wanted them. And when she learned that many pet owners surrender their dogs near the end of the animals’ lives, she was appalled. Then Fusaro observed how painful the whole situation can be for everyone involved. Animal welfare experts see such scenarios all across the country. Confronted with a serious illness or another major life upheaval — such as a divorce, a home foreclosure or even a military deployment — an animal owner suddenly may be unable to care for a longtime pet. Another common situation with older dogs is that their older human owners move into nursing facilities that do not accept pets. 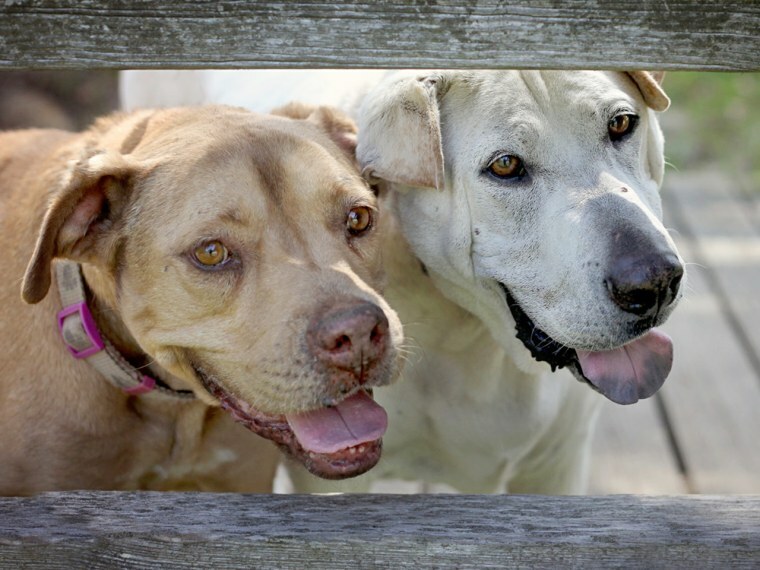 Justin Scally, national director of emergency services for the American Humane Association, said senior animals often represent the highest-risk population in shelters, even though they tend to be the calmest, easiest pets — and they’re already house-trained. That’s what ultimately prompted Fusaro to overcome her uneasiness and bring Sunny home last June. Then 16, the dog definitely had health issues — infected eyes, and a large cancerous tumor on her leg — but Fusaro felt almost irresistibly drawn to Sunny. Fusaro has spent money on veterinary bills for Sunny, but she insists it’s not as bad as people might think. Vet visits helped clear up Sunny’s eyes and led to a $60-a-month prescription for pain medication — but Fusaro and her vet opted to avoid costly, invasive treatment for Sunny’s cancer. Sunny’s transformation from a scared, disoriented shelter dog to a happy, playful family member got Fusaro thinking: Maybe she could use her photography skills to help a whole bunch of senior dogs. About six months ago, she began work on what she hopes will become a photography book called “Silver Hearts” with a tagline that says, “Love doesn’t keep track of years.” Once the book is published, Fusaro wants to donate proceeds from book sales to three dog rescue organizations that do a good job finding homes for senior dogs: Peace of Mind Dog Rescue in Grove, Calif., Willy’s Happy Endings in Woodlawn, Tenn., and Louie’s Legacy Animal Rescue in Ohio and New York. So far, she’s taken about 80 percent of the photos for the project on both the East and West coasts and places in between, where she’s visited with families who responded to her Facebook solicitation for compelling stories about their older dogs. Fusaro tried raising money to self-publish a high-quality photography book through an online Kickstarter campaign. The campaign generated a lot of interest, but it didn’t reach the fund-raising goal by a pre-determined deadline, so all pledged money remained in donors’ pockets. The dogged photographer isn’t giving up, though. Rather than self-publishing, she may pursue a more traditional route through established publishing companies, or she may produce a calendar featuring happy photos of gray-muzzled pooches.